NIBP, or Non-invasive blood pressure, can be recorded from both animals and humans. 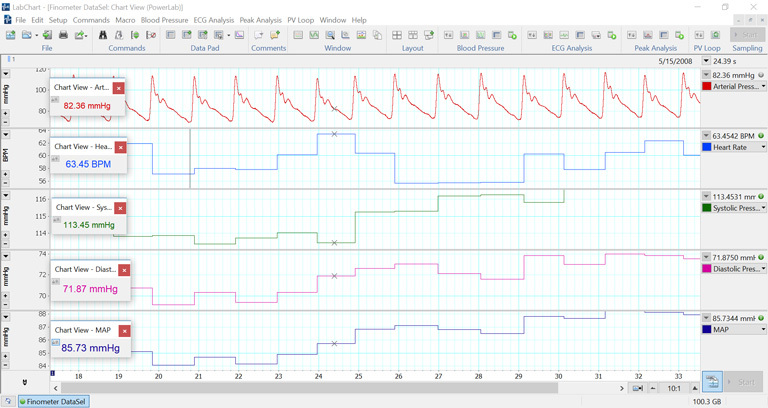 In rodents, an NIBP signal can be captured using an occlusion method, similar to a clinical measure of blood pressure. In humans, NIBP systems can sample changes in relative blood pressure over time, simulating a real-time blood pressure measurement. In rodents NIBP is derived using an occlusion method. A cuff is inflated around the major artery running through the tail. As this pressure is released, and measured, a pulse transducer indicates the return of blood flow to the artery. Systolic pressure can be estimated by finding the pressure at which this pulse returns to the tail. Rodents undergoing an NIBP measurement must first acclimate to the procedure. A reasonable amount of time training your animals in a restrainer, with the measurement device applied, will lower the chance that a fear reflex will stop blood flow to the tail. Detect the blood pressure signal and derive systolic, diastolic changes. 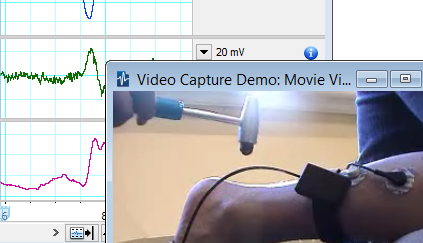 Easily calculate the volume from your flow measurements curve in real-time or offline. 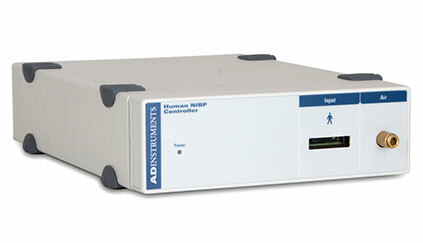 The Human NIBP Device Enabler allows the Human NIBP Controller to stream data into LabChart. Thank you for your interest in NIBP. Please complete and submit the form below and an ADInstruments representative will aim to get in touch within one working day. If you’d like to speak to someone immediately, office contact information is available from the contact page.